What a lovely surprise to come home and find a parcel waiting for me. 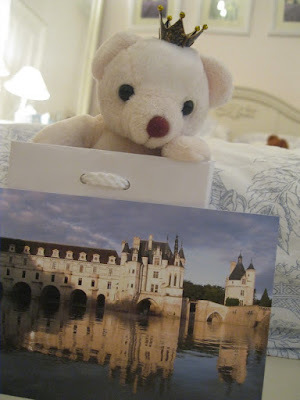 Choufleur (I named her this evening) comes all the way from one of the most famous Chateaux in France, the gorgeous Chateau de Chenonceau, in the Loire. Not only is she sweetest little princess Choufleur but she also has a good conscience. 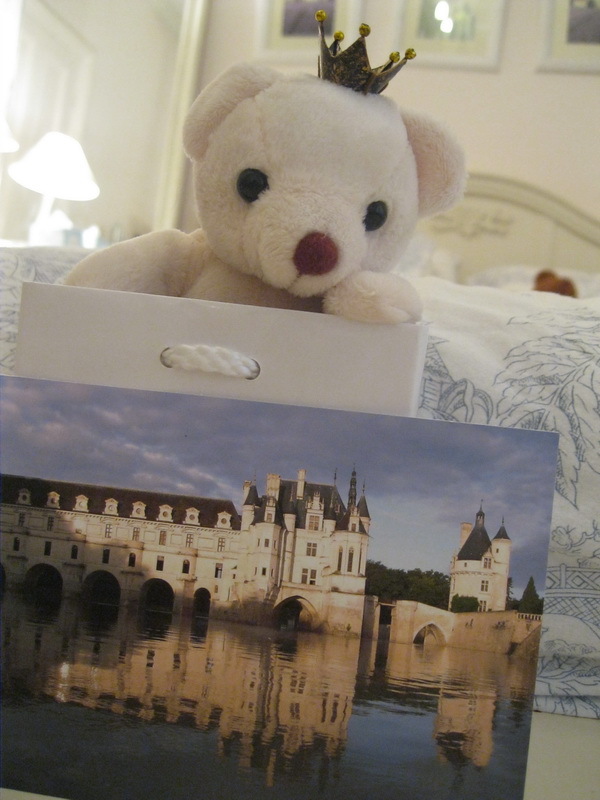 With every bear bought, money is donated to Hopital Pediatrique d'Angkor (Angkor Hospital for Children) in Cambodia. Glad to see she has crossed the Channel safe :) I was afraid her crown might fall off for instance! Choufleur is a very nice name. By the way, did you know that in familiar French, when you say someone or something is 'chou', it means 'cute' :) Also, thank you to recall people that any little gesture can lead to a bigger help to the ones in need.